This structural part maintains the pressure in the combustion chamber. It guides the piston and prevents pressure from escaping during the scavenge, compression, expansion and exhaust phases of the combustion cycle. 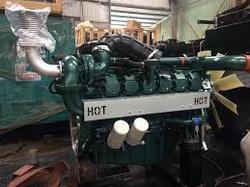 The piston crown absorbs the force of the air compression and fuel explosion inside the combustion chamber, driving the piston up and down inside the cylinder liner. This part moves up and down inside the exhaust valve, opening and closing to let the exhaust gas in and out. This part holds the exhaust vale spindle in place and guides its motion. The pump barrel plunger is attached to the fuel pump housing. 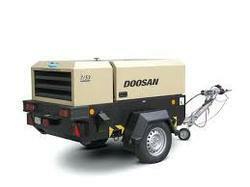 Its vertical reciprocating motion keeps the fuel oil at around 800bar pressure . The piston rings seal in the gas combusted during the power stroke and create an oil film that lubricates the cylinder liner. This part guides the fuel valve that injects the fuel oil, which has been highly pressurized by the fuel pump, into the combustion chamber. 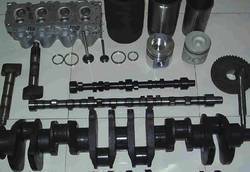 This part is assembled onto the bottom of the exhaust valve housing and serves as the spindle valve seat. When the shutdown system or stop signal is activated, this part releases the pressurized air in the compression chamber to prevent the fuel from discharging. This bearing supports the force generated by the crankshaft journal during combustion. 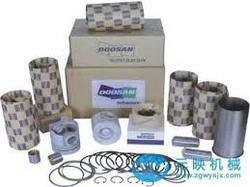 Our in depth industrial knowledge enable us to trade and supply world class Doosan (210, 225, 300) Excavator Replacement Spare Parts. 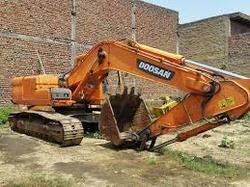 Excavator Spares India supplies used and reconditioned parts for most makes and models of excavators Kobelco, Volvo, Komatsu, Tata, Hyundai, JCB, etc. 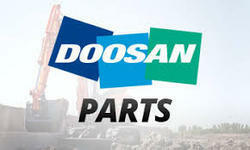 Looking for Doosan spare parts ?